Bloomberg reported that GEG Deputy Chairman Francis Lui had a meeting with Philippine President Rodrigo Duterte on Wednesday in Manila to discuss the casino operator’s intention to get a slice of the Philippine gambling market as the firm looks for new growth engines. Galaxy’s expansion comes on the heels of China’s strict no-smoking policy in casinos and an ongoing crackdown against corruption in gaming territories like Macau. Now that Beijing and Manila are mending their strained relationship, Lui said GEG wants to help China in fostering strong diplomatic relations with the Philippines through increased trade. “Galaxy would like to play a role in the One Belt One Road initiative and we strongly believe the Philippines has great potential and offers attractive opportunities,” Lui said, according to the report. Philippine Amusement and Gaming Corporation (PAGCOR) chairman Andrea Domingo confirmed GEG’s desire to set up an integrated resort in the country, saying that the state regulator is already studying the casino operator’s proposal. GEG, according to Domingo, wants to build its integrated resort in Boracay, a 4-mile-long island that boasts pearly white sand, gentle coastlines, and stirring sunsets. She said GEG estimated that the integrated resort project will cost around $300 million to $500 million. Over the last two decades, Boracay has grown into more than just a sleepy town for backpackers. In a latest survey conducted by international travel magazine Condé Nast Traveler, more than 300,000 travelers voted Boracay as the best island in the world. 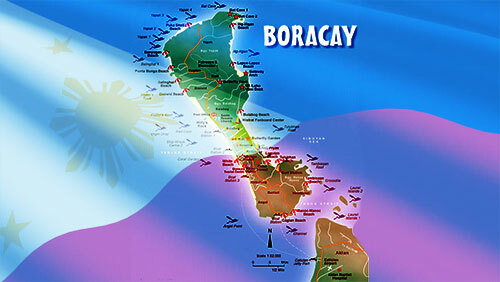 Boracay also topped Condé Nast’s Top 20 Best Islands in the World last year. Earlier reports said that GEG has chosen Leisure and Resorts World Corp. founder Alfredo “Albee” Benitez as its local partner.